The company and the union reached tentative agreement on several items in bargaining Dec. 13, leaving a few large items unresolved. The items agreed to included pagination and copy editing pay at the current amounts, but excluding new graphic artists from receiving pagination pay and excluding new reporters from receiving copy editing pay. In the afternoon, the company and union committees exchanged proposals on the remaining issues, including wage scales, elimination of furlough days, night differential, vacation accrual and possible cash-out, sick leave/short-term disability pay, insurance premium percentages and mileage reimbursement. Bargaining sessions are scheduled for Tuesday and Friday. The union bargaining committee needs your input on the remaining bargaining subjects. Please contact or email a committee member and share your thoughts. 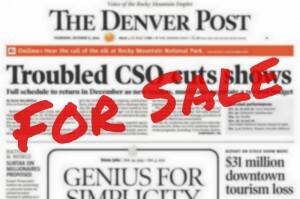 You can call Tony Mulligan at 303-956-1255 or email dng@denvernewspaperguild.org.